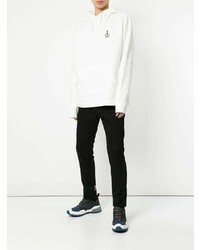 If you're on the lookout for a casual yet on-trend look, pair a Makavelic hoodie from farfetch.com with black chinos. Both items are totally comfortable and will look great together. When it comes to shoes, this look pairs nicely with white canvas low top sneakers. 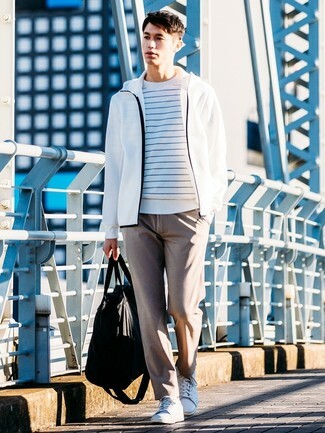 If you're on the lookout for a casual yet stylish outfit, go for a white hoodie and beige chinos. Both pieces are totally comfortable and they will also look great paired together. If you're all about relaxed dressing when it comes to fashion, you'll love this stylish pairing of a Makavelic hoodie and navy ripped jeans. 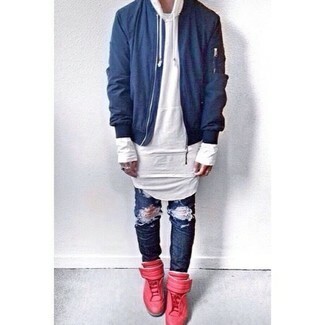 When it comes to shoes, this outfit is complemented wonderfully with red leather high top sneakers. 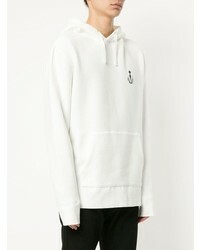 Make a Makavelic hoodie and white sweatpants your outfit choice, if you want to dress for comfort without looking like a hobo. Amp up the cool of your outfit by completing it with white leather derby shoes. 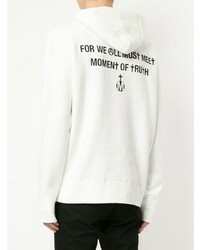 A Makavelic Hoodie and black and white vertical striped sweatpants make for the ultimate casual style for today's man. 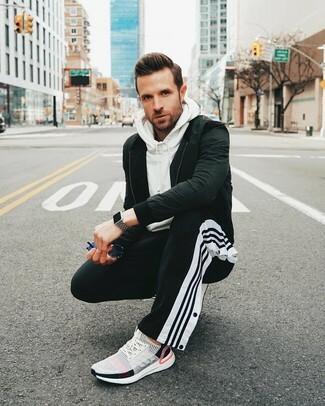 A pair of white athletic shoes rounds off this look very nicely. If you're on a mission for a casual yet on-trend outfit, try pairing a Makavelic hoodie with beige chinos. Both pieces are totally comfortable and will look great together. 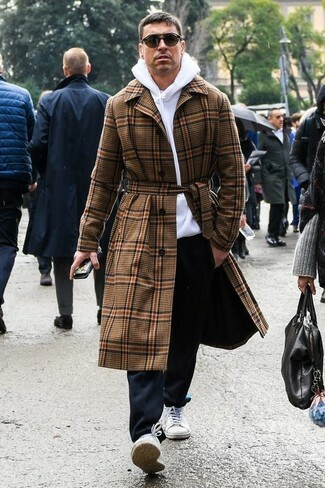 When it comes to shoes, this look is finished off well with white leather low top sneakers. If you're hunting for a casual yet seriously stylish outfit, opt for a Makavelic hoodie and brown chinos. Both garments are totally comfortable and will look great paired together. When it comes to shoes, this ensemble is finished off wonderfully with white leather low top sneakers. 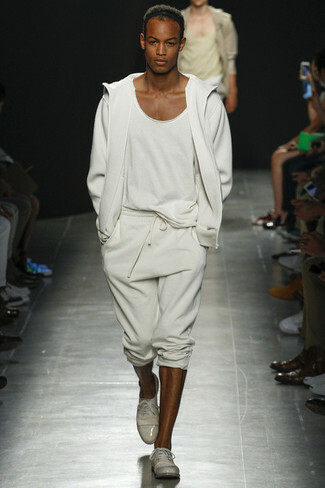 For a casually elegant getup, opt for a white hoodie and a beige suit — these two pieces fit perfectly well together. 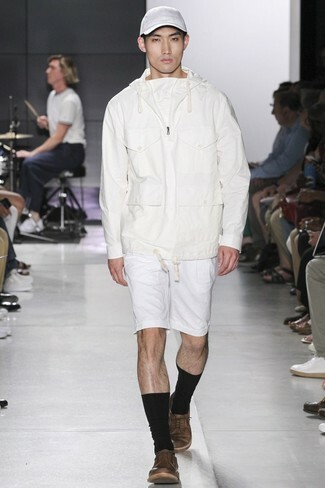 For something more on the daring side to complete this ensemble, rock a pair of white leather low top sneakers. 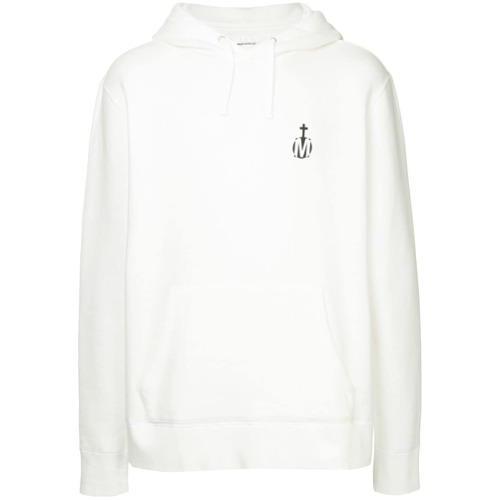 This pairing of a Makavelic hoodie and white shorts is simple, seriously stylish and super easy to replicate. 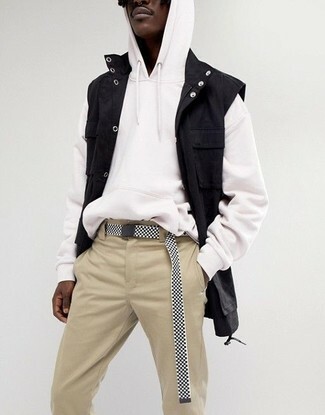 Look at how well this ensemble pairs with brown leather low top sneakers.